This glossy production is an amalgamation of authentic recipes from the kitchens of Niraamaya Retreats, and presents some of the native flavours of the region with articulate, easy to follow content and stunning visuals. Niraamaya Retreats, one of the luxury wellness and leisure destination has launched “A Taste of Kerala”, a unique recipe book featuring traditional dishes from the state. The recipe book was launched at the Relais & Châteaux Indian Subcontinent Delegation meeting held at Niraamaya Retreats Surya Samudra, Kovalam. Established in France in 1954, Relais & Châteaux is an exclusive collection of the world’s finest hotels and gourmet restaurants, a family of Hoteliers and Grand Chefs. The book was released by Arnaud Wielgus Global Director, Relais & Châteaux in the presence of Cristina Tang, Director - Asia, Relais & Châteaux and Joerg Dreschel, Chairman of the Asian chapter at Relais & Châteaux and the other members of the Indian Subcontinent Delegation. Niraamaya Retreats has attempted to capture and showcase timeless regional tastes that have been passed down through many generations in the form of A Taste of Kerala for the global audience. This glossy production is an amalgamation of authentic recipes from the kitchens of Niraamaya Retreats, and presents some of the native flavours of the region with articulate, easy to follow content and stunning visuals. Commenting on the launch, Manu Rishi Guptha, CEO, Niraamaya Retreats said, “Niraamaya Retreats has been the custodian of traditional regional gastronomy of Kerala and is delighted to offer A Taste of Kerala targeted towards global food connoisseurs who appreciate regional flavours while on their world travels. All recipes in this book, perfected over the last decade, have been simplified for home cooks. As wellness resonates across all that we do, this is mindfully included in the book as well." A Taste of Kerala presents traditional recipes of Kerala’s regional gastronomic experiences. Hand-picked by Chef Prakash Nayak of Niraamaya Retreats the recipes are specially curated for their uniqueness, in terms of taste, flavour and authenticity. 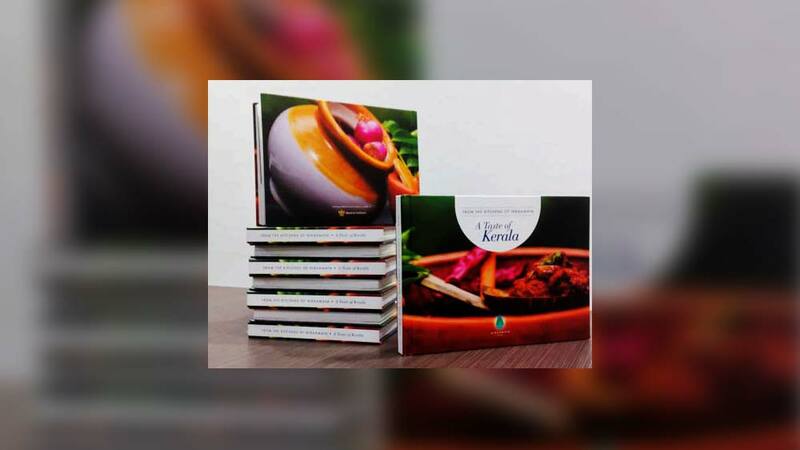 Showcasing the diverse culinary influences of the state, well known dishes like the Malabar Fish Curry, Travancore King Fish Curry and Avial as well as innovative ones with a contemporary twist like the Squid Pepper, Hibiscus Granita and Coconut Vanilla Crème Renversée are featured in the book. Food and Beverages sector to reach Rs 380,000 cror..